New competition can be created during performance of the wizard of new tournament creation, however, happens simply is much easier to copy existing competition (for example, for its repetition next year). 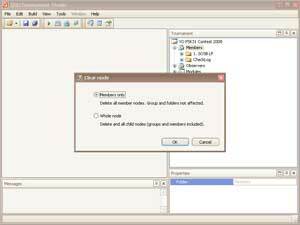 As competition it simply folder with files on a disk to copy it it is possible, as well as any folder, means of the file processor (the Explorer in Windows or any habitual to you). 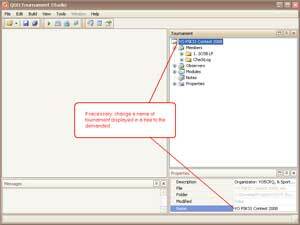 Change a name of the received copy of a tournament folder to the demanded. 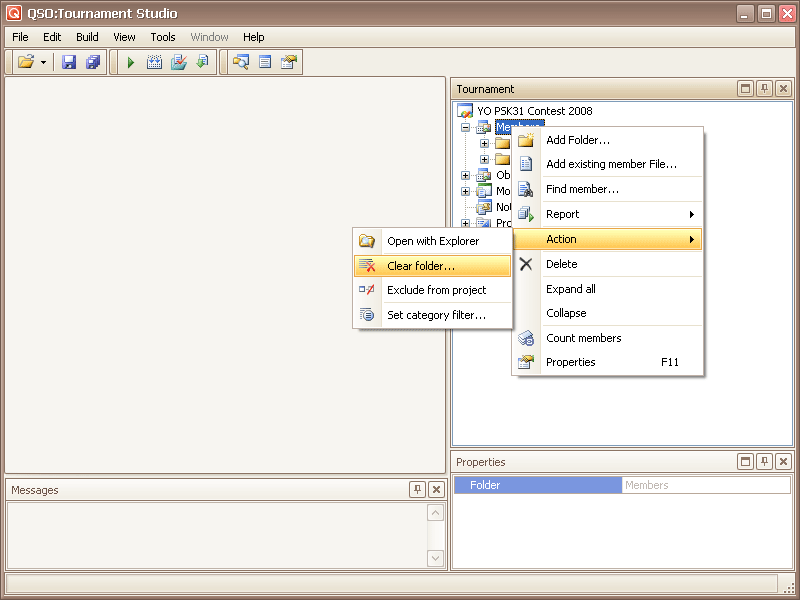 Enter into a new folder and change a name of a ".xml"-file of competition to the demanded. Start the program and open the received competition. Competition has been copied earlier entirely, together with all participants and their files. It is necessary to clear folders of competition of members files. 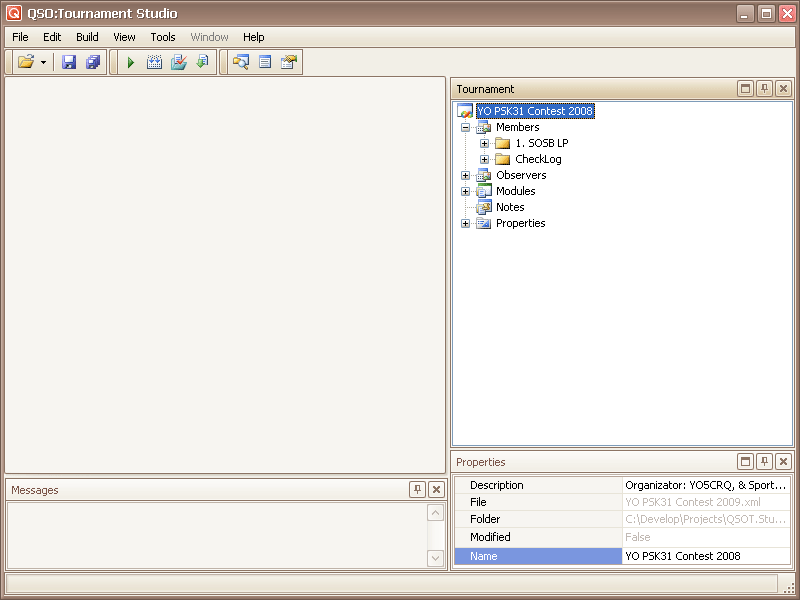 Select in a tree of competition node "Members". Click on node "Members" the right button of the mouse, then choose "Action", then "Clear folder...". In the appeared dialogue choose a mode "Members only" and press OK. In all folders of competition files of participants will be removed, the structure and structure of folders remain without change. 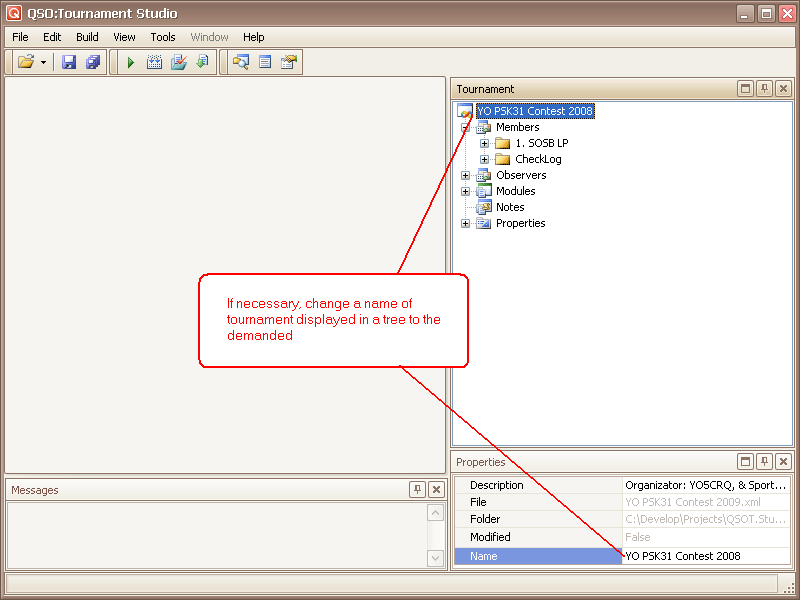 If necessary, change a name of tournament displayed in a tree to the demanded. 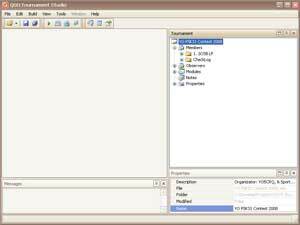 The competition copied thus keeps structure and options initial and is ready to placing in it of new files of participants. Do not forget to change in node "Properties" event time of new competition.